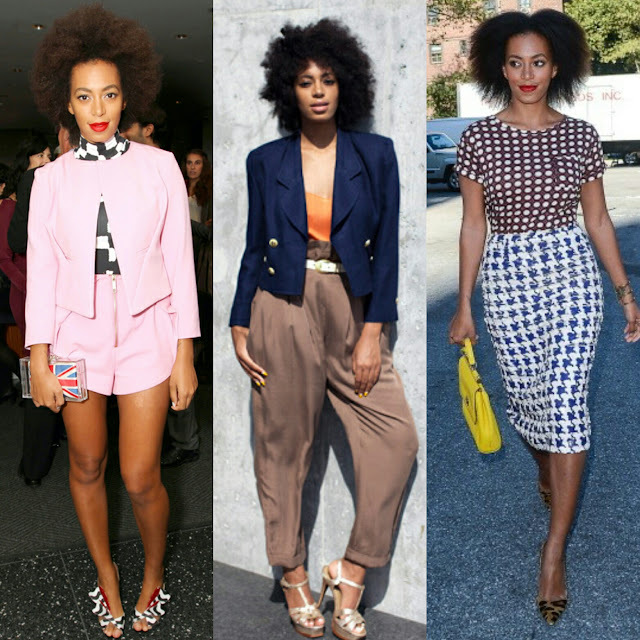 Home / Fashion / outfits / Solange knowels / STYLE / Women / women fashion / 9 OUTFITS WE LOVE AND CAN ACTUALLY STEAL FROM SOLANGE KNOWELS. 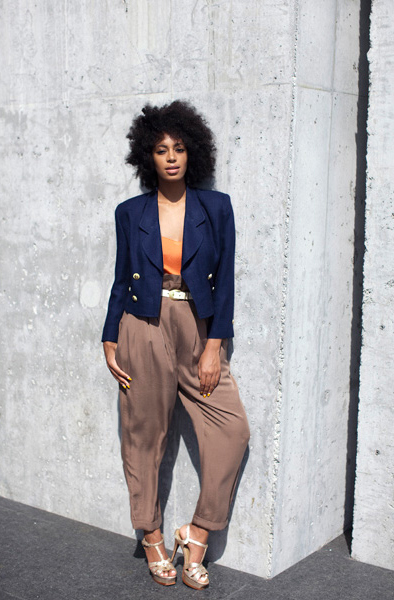 9 OUTFITS WE LOVE AND CAN ACTUALLY STEAL FROM SOLANGE KNOWELS. Tuneshamzoea Solange akiwa na these weird outfits that make people stare and demand attention..Lakin little do you know Kuwait Solange can rock anything and still demand attention. So hizi Ni one of the outfits she has worn ,simple, stylish na ambazo you can actually wear without a doubt. Colorful in yellow dress,shoes and purse with an orange coat. You can wear this to the office..White blouse, color print skirt na blush heels. This one is so cute, over how hiyo black and white aliyovaa ndani na her shoes zinaendana..and that pretty clutch. Looking simple in a yellow floral dress. Try this look for your Friday office look..just stunning. All white with a little see through. This blazer is just perfection.